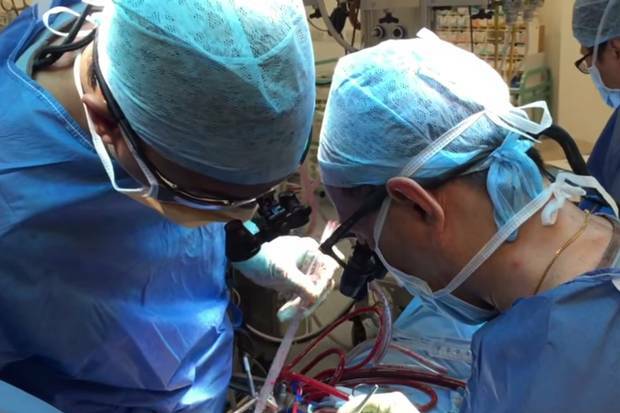 The lives of more than 1,000 Londoners a year could be saved by the opening of the UK’s biggest heart centre, its executive director claimed today. Professor Charles Knight said the new £234 million Barts Heart Centre in Smithfield, formed by the merger of three cardiac units, will lead to huge advances in care because there are so many specialists under one roof. Heart disease is Britain’s number one killer, accounting for one in four deaths — around 160,000 a year. “In the East End, rates of heart disease are very high,” Professor Knight said. “If we look at the three million population of east London, we estimate if we brought the rate of heart disease death down to the UK national average, that would save us 1,000 deaths a year. That is why we exist as a centre — to try and achieve that.” More than 150 patients suffering a heart attack or a more serious cardiac arrest have been treated at the facility since it began receiving emergencies on April 14. Formed from the merger of services at the London Chest Hospital, the Heart Hospital and those already on the St Bartholomew’s site, the centre will treat 80,000 patients a year. It has 10 theatres, 10 catheter labs, 250 general cardiac beds and 58 critical care beds. Research last year found 66 per cent of patients taken to a heart attack centre survive — more than double the rate for those taken to a regular A&E unit. This entry was posted in Uncategorized on May 18, 2015 by F28.